Check back soon to see all the great photos from the March 10, 2019 event! Camille Carnes, 27, moved to Atlanta in 2013. New to the city, she longed for friendship. Considering her love for dogs, and her willingness to help, she began a quest for community engagement opportunities. Her research eventually guided her to the Atlanta Lab Rescue, where she decided that being a volunteer foster was her calling. Since making that commitment five years ago, she’s become an active board member and also serves on the planning committee for the organization’s largest fundraiser. Carnes’ early success can be attributed to having the courage to reach out. Upon lending a hand, she picked up experiences that she’d otherwise fail to gain. Although the severity of her story may have been grave, during her tenure at the rescue she’s frequently encountered similar situations. Still, whether it be dogs that were near death, blatantly abused or others who are simply given away by tiresome owners, the mission is cemented – lift the dogs from unfavorable conditions into loving homes. Through Carnes encounters she learned that Becky Cross, director and founder of Atlanta Lab Rescue, came across a large number of abandoned labs and lab mixes while working at Adopt-a-Golden. Acting on her intuition, Cross capitalized on the market and started the rescue. Over a 10 year life span the rescue has served around 3,500 dogs, including 2,000 in the past six years. Upon rescue, all dogs undertake extensive treatment from veterinarians. According to the Atlanta Lab Rescue website, treatments include: comprehensive blood profiles, vaccination updates and spays or neuters. For dogs that may require additional care, the rescue also has access to trainers. Once settled, the dogs are microchipped. “It’s a computer chip essentially, a collar that won’t fall off,” Carnes said. Swift and painless, the chip is inserted on the spine of the dog. If a dog is lost and found, the microchip can be scanned and the owners information is readily available. The reward from going the extra mile is, delightfully, a healthy dog worthy of adoption. Even so, while unfortunate, it’s simply not realistic to expect a dog to be rescued, then instantly adopted. For this reason, often a gap or rest stop lies in the midst of the adoption journey. Being a former foster herself, Carnes described fostering as the backbone of the organization. While she admits that a boarding facility will work in case of emergency, she remained adamant about the benefits of placing a dog in a temporary home. Due to the effects of being in a home, fostering remains a typical concept amongst rescues.While under a fosters care a dog’s behavior becomes easier to analyze. Over time, fosters grow familiar with the personality of the dogs, which in turn, helps suit the dogs with the highest compatible match. Carnes believes what separates Atlanta Lab Rescue from other non-profits, besides being centered around labrador retrievers, is the size of the animals. The concentration revolves around larger dogs, and so that’s what clients are typically seeking when they approach the rescue; however, the title may be misleading as the organization houses more than just labs. 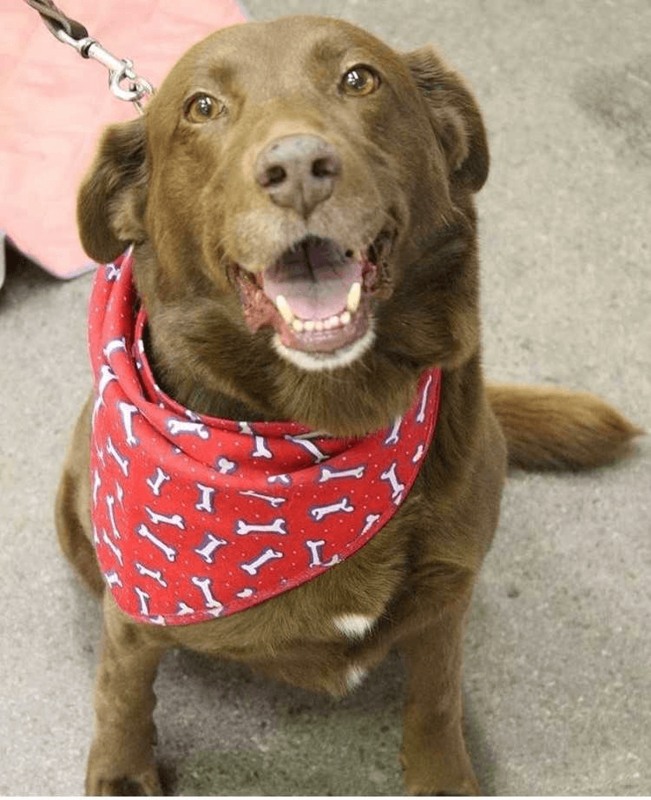 Sweet Brownie, a 6-year-old chocolate lab mix. Although the dogs reap the greatest benefit, the fosters can also be rewarded. As volunteers, the deepest satisfaction stems from allowing the dogs to heal. Often times that satisfaction develops into a bond between a foster and a rescue, consequently causing a volunteer to commit foster failure – a term used to describe a foster adopting their rescue, an act in which Carnes admits she’s guilty. While fostering, she adopted her current dog, Reggie, a lab and husky mix. In order to spread name and have opportunities blossom, the Atlanta Lab Rescue planted its essence in the root of the people. Like Carnes, there are others seeking a space to engage with the like-minded. The non-profit sees community interaction as part of the mission, and therefore, works to create those spaces. Most recently, for the rescue, is its partnership with the Rescue Dog Olympics, a festival for dogs and their owners. Through a sponsor Carnes also learned that the Rescue Dog Olympics assists in offering PR for the organization. The goals aligned on both sides, and the premiere collaboration is set to take place Sunday, March 10th, at Piedmont Park. Aside from the Rescue Dog Olympics, comes its largest fundraiser, the 5k run. In its previous year, the fundraiser gathered around 600 runners. Now, the 4th annual race is projected to have the largest crowd yet. Also in development is the Garden Party, the rescue’s newest fundraiser. Bird Dog Whiskey appeared as a guest sponsor during the first party, and lightened the environment with a bar. For the second year, the rescue will be looking to recreate, or even improve upon, the elegant ambiance. Even with newfound success, the organization’s tallest hurdle remains recruiting volunteers. As opposed to overseeing 1-2 dogs at a time as a foster home volunteer, Carnes is now partly responsible for all of the dogs, and the organizational outlook as a whole. With a seasoned perspective, she realizes there is strength in numbers. To learn more about ways to get involved with Atlanta Lab Rescue click here. Tyhi Conley is a freelance journalist. 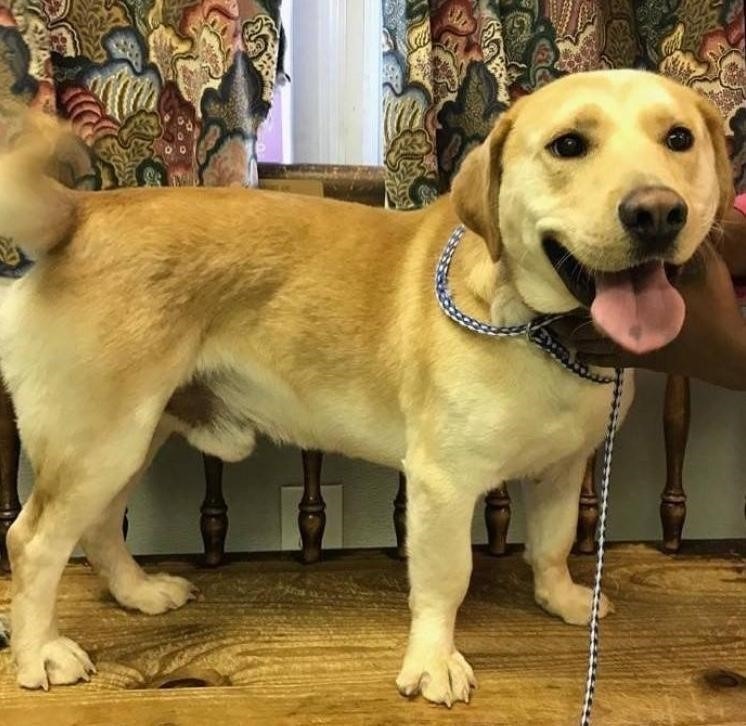 His works appear in the Marietta Daily Journal, KSU Sentinel, Cobb County Courier and Cherokee TribAtlanta Lab Rescue centers around labrador retrievers and larger dogs that need adopting. Their mission is to lift the dogs from unfavorable conditions into loving homes. 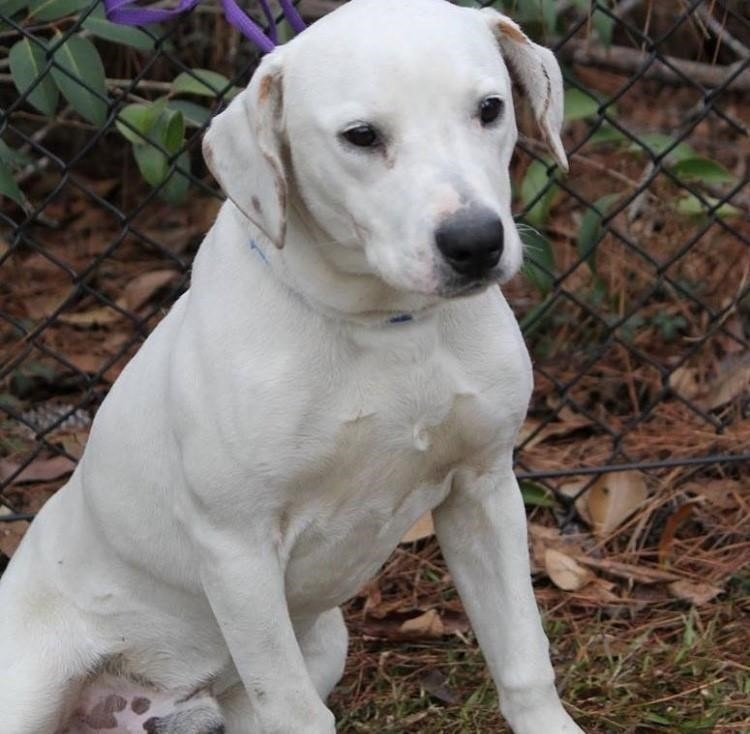 Atlanta Lab Rescue centers around labrador retrievers and larger dogs that need adopting. Their mission is to lift the dogs from unfavorable conditions into loving homes. une-Ledger. To keep up with work he self-publishes, check out his website. Thank you very much! We have Pet Partner articles and videos posting daily through January. We hope you can come to the Rescue Dog Olympics on March 10th at Piedmont Park.